In carnivals there are few games that are as compelling the young and old alike and of those few the Shooting Gallery is always the biggest draw. With history back to the early 1800s, the Shooting Gallery has been a staple of variety entertainment since gun sellers introduced them. Even in the cinema, everyone loves them – as seen in Back to the Future 3 where Marty McFly (Michael J. Fox) shows off his handiwork with a low caliber pistol and as he is leaving informs the caller that he learned how to use one from the 7-11 (presumably while playing the none existent port of arcade port Wild Gunman featured in Back to the Future 2). Over the years, the carnival shooting gallery was brought home in the form of toy sets. Usually letting the player knock down tin or plastic bandits or cans with plastic pellets. However with the advent of the Magnavox Odyssey the shooting gallery was brought home in videogame form. Ever since Lightgun titles have been both acclaimed for ingenuity and damned as murder simulations. This month for Together Retro we are eschewing all of that argument and focusing on one of the companies that still puts out quality lightgun games, SEGA. That’s right boys and girls, grab your holster, its time for a Lightgun Extravaganza. Instead of choosing one game we decided to make this far more open and choose several series. While that is a lot, your average lightgun game is over in less than an hour, so we have to make up for it somehow. 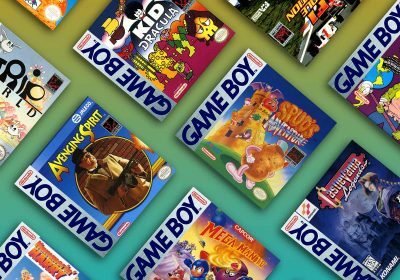 We chose Sega since they have always delivered a quality title in this genre, and because these titles are available on many different systems. 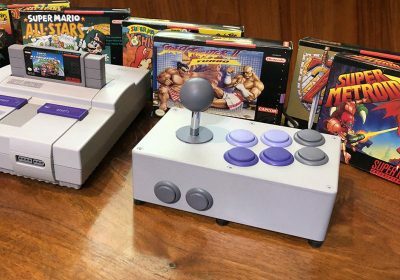 And before you grab your pitchforks, we know these are not the most retro of the genre, but like I said already, these are fairly easy to find and a lot of fun. First released on the Sega Model 2 arcade system Virtua Cop puts you in the shoes of a police detective trying to stop an illegal gun running operation in their city. Playing as either Michael “Rage” Hardy and James “Smarty” Cools you are equipped with the powerful Guardian handgun and charged with the mission of stopping these criminals. Joining Rage and Smarty is Janet Marshall a new recruit to the team. The international terrorist threat that you dispatched in the first game is still behind bars, but now it is time for the Virtua City Police Department to investigate the illegal gun running even further. Featuring new driving stages, multiple paths, and more than its fair share of movie clichés, Virtua Cop 2 delivers the excitement of the first game in a new package. AMS agents G and Thomas Rogan are dispatched to deal with a frightened telephone call from Sophie Richards, Rogan’s finacee, about Dr. Curiens Mansion. Don’t ask why, just go with it. When they arrive at the mansion they are greated with Dr. Curien experiments, which for lack of a better word, are zombies. G and Rogan must fight their way through the hordes of the undead until they can find Dr. Curien to put an end to this madness. Full of awesome bad clichés and even better voice work, House of the Dead is one of the best examples of the genre. Sadly, it is only available on the Saturn. Years after the events at the Curien Mansion, AMS agents have been dispatched to deal with a similar outbreak in Venice Italy. Agents James Taylor and Gary Stewart meet up with Agents Amy Crystal and Harry Harris to find Agent G and discover what is causing these problems. Possibly the most well known of the series, House of the Dead 2 is decently long, challenging, and full of nuances that make it worth multiple playthroughs. And to top it off, it is probably the most accessible title in our selection. Nintendo Wii (House of the Dead 2 & 3 Return). 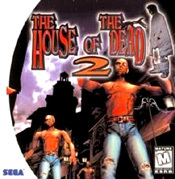 Considered by many to be the blacksheep of the series, House of the Dead 3 changes a lot but the gameplay is still tried and true. Players take control of Lisa Rogan (Thomas’s Daughter) and the Agent you can never keep down ,G, as they investigate an EFI research facility that is believed to have been linked with why civilization collapsed. With lots of throwbacks to earlier titles, 3 really gives players shotguns and tells them to go for it. We are not going to be mean and suggest people to try to play Typing of the Dead II, which is House of the Dead 3. Mainly since it is in Japanese and there are only a few copies left and Play-Asia. Billed as Virtua Cop meets James Bond, Confidential Mission pits CMF agents Howard Gibson and Jean Clifford against the group of Terrorist who stole a satellite. Departing from its Virtua Cop heritage Confidential Mission features an assortment of weapons and gadgets to let you complete the stages. Specialty Events happen on every stage which can vastly change the game – ie success in these events leads to shortcuts or harming difficult enemies. 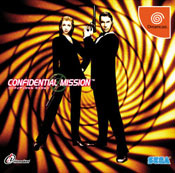 As great of a game as it is, Confidential Mission was only released on the Dreamcast and sadly has some slowdown. Not nearly enough slowdown to discredit it, but it is there. And this is where we start loosing people – It is not every day you get to play a game where you save a president that looks like Harrison Ford. Or one where you get to shoot bikini clad girls holding bananas with squirt guns. But if either of those scenarios sound fun, Ghost Squad is your game. Taking many of the best parts of Confidential Mission and Virtua Cop, with alittle from the House of the Dead and Time Crisis, Ghost Squad gives you a myriad of options every time you play it. Each stage branches six-ways-from-Sunday, there are dozens of firearms to choose from, and of course, you have cheesy voice work. Ghost Squad is about a team of Anti Terrorist Agents who are deployed to, well, stop terrorist. A unique part of Ghost Squad is that every stage features a Quick Time Event, usually a knife fight or brawl, where you have to point at the highlighted part of the enemy and pull the trigger to succeed. After the event you get to see a video of your character, usually dressed up in some crazy outfit, decking a terrorist. Sure it is not a retro title at all, but it is the most recent of the Sega lightgun titles to come out on a home console and it is a lot of fun. 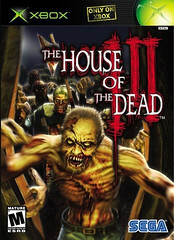 I swear that there was a version of the original House of the Dead for the PC. I remember playing the demo for it many times about 13-12 years ago. There’s a Windows version of House of the Dead (the first one). I have a copy of it hung onto it because it’s the only decent-looking way to play the game at home. Saturn HotD is a chunkfest. Don’t forget House of the Dead Overkill for Wii! Sega was the king of the lightgun genre. 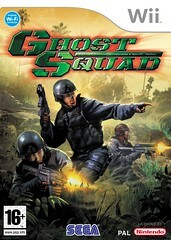 I love the cover of Ghost Squad simply because years ago I would have never dreamed of seeing the Sega AND Nintendo logo on the same box art. The game? No idea. I’ll probably stick to my HotD2 and Virtua Cops. I’ve got my barely working Japanese Sega Saturn gun and my excellent Dreamcast gun, and I’ve always loved playing Virtua Cop and House of the Dead 2 on those systems. Both are fun, hilarious games. Also, I really like the post, but whats with all the spelling and grammar errors? I just thought I’d throw it out there that Virtua Cop 2 for the Dreamcast was also released as a standalone game in Japan. So it wasn’t only available via the Sega Smash Pack – outside of the United States. Man I’m awful at Virtua Cop. Somehow these games seem a lot harder than Duck Hunt. Whoo hoo! 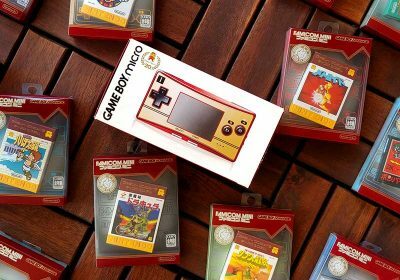 The best Together Retro yet! Luckily I have Ghost Squad and House of the Dead 2 & 3 Return for Wii… now I just have to go play at my parents house. 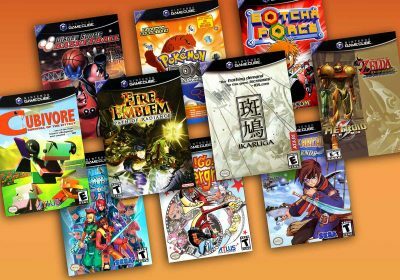 god i loved all these games. i wish sega could bring these back. for a collection somehow. i know they have house of the dead 2 and 3 on wii. 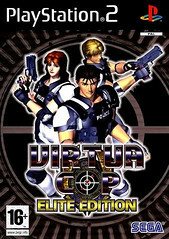 The Saturn cover for Virtua Cop 1 would be better than the “Elite” version for PS2 imo. 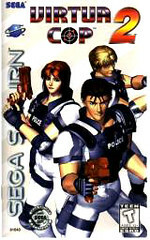 Virtua Cop 2 for the DC was not only available as a part of Sega Crap Pack, but also as a Japan-only release (complete with music of course). Cheap, low risk, and the end result means you can finally turn off the crosshair and play the games like they were designed! House of the Dead on the PC was VERY easy to beat with the mouse. Can anyone confirm if Virtua Cop Elite Edition for PS2 works with a Guncon 45? It’s not a lightgun game, but my friends and I co-oped the Dreamcast Typing of the Dead about a week ago. That game gets brutally hard near the final stage! On HD CRT TV’s are 100hz so older light guns won’t work. When using a light gun the gun does flash the screen but sight on the screen tends to wander due to looking for 50-60hz signal. 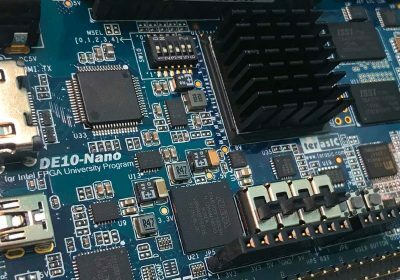 I’m thinking about a VGA to Component transcoder but due to cost and unsure of it working have held off. I do know a direct VGA to Component cable only results in a purple off center screen. Even tried switching the red-blue-green Y-Pb-Pr cables around. From what I’ve been reading looks like if you have a HD CRT with VGA input use VGA box with Dreamcast and (cross fingers) than light gun should work. 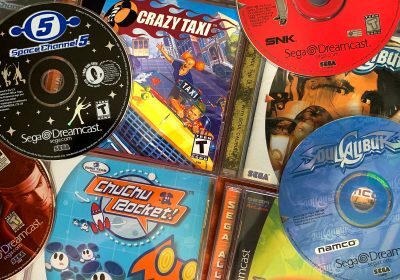 Has anyone had any luck with VGA transcoder to Component – Dreamcast Lightgun – HD CRT? Will All CRT (Non-LCD) Larger Monitors play DC Light Gun games and funtion great like they would on a tube TV? I have a Modded Dreamcast and I plan to use the JP Official DC Light Gun and two PAL games: Confidential Mission and the House of the Dead 2.